The use of different circuits will be done after the payments, according to the corresponding tariffs. The orange circuit is about 1.40 meters tall. Is essential that the child is accompanied by an adult. Before to do the circuit blue or red, our experience or previous training is obligatory. 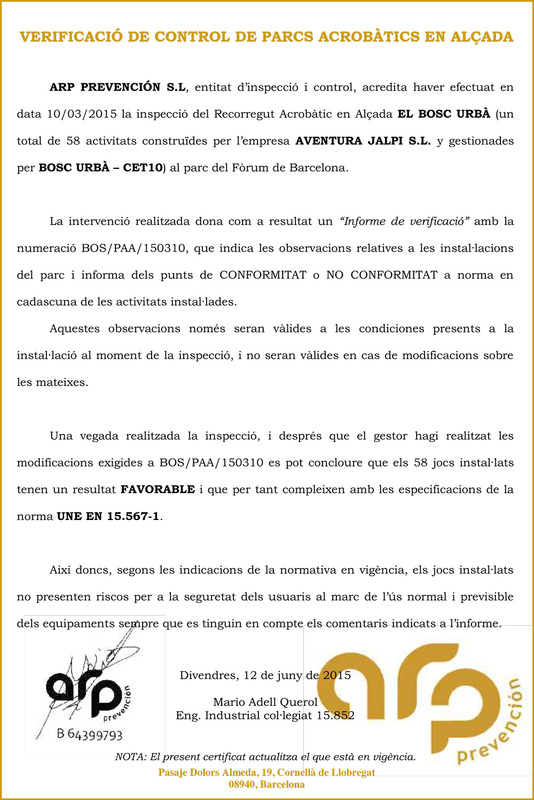 Bosc Urbà reserves the right to exclude people deemed unable to make the circuits or not follow the instructions of the security monitors. All participants are responsible for following safety rules explained by monitors, as well as being trained and not suffer any illness or injury that the inability to perform activities safely. Participants undertake not to be under the influence of alcohol or any other drug or medication that limits their capabilities at the time of the activity. The school groups, clubs or esplais have to be supervised by their teachers or monitors. The park will not be responsible for any damage caused by misuse of the activity. It is obligatory to have a clothes, appropriate footwear and use of gloves, especially with low temperatures. The use of blue and red circuits will be subject to a minimum height. The park is not responsible for the theft of any property within the grounds. It is forbidden to leave the premises with harnesses, bring elements that could disturb during the tour (backpacks, bags, cameras, bottles …). intentionally damage any structure in the park, balancing the different structures. Do not respect any of the regulations. The person who does not respect the rules of the park may be expelled from the premises. The company ARP Prevention, specializing in certification of buildings and security of such parks, certifying the quality and safety of our circuits, and all the material made available to the user, making an annual control. 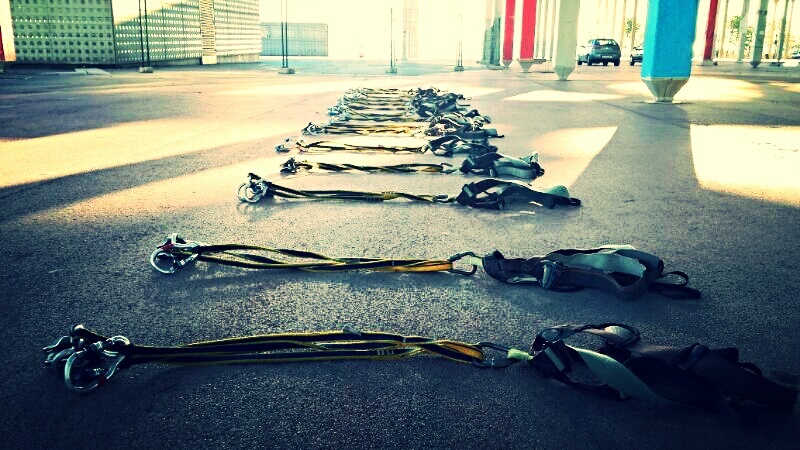 Each participant is equipped with a harness of good quality. All participants receive an explanation and make a small test circuit to verify that they have understood the activity. Our activities are supervised by instructors specially trained in this type of activities that will resolve any doubt or incident. The circuits are monitored daily by park staff.